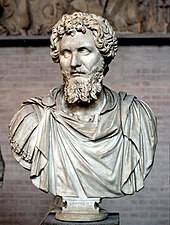 North Africa is a region encompassing the northern portion of the African continent. There is no singularly accepted scope for the region, and it is sometimes defined as stretching from the Atlantic shores of Morocco in the west, to Egypt's Suez Canal and the Red Sea in the east. Others[Like whom?] 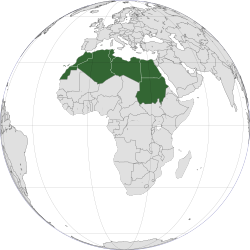 have limited it to top North-Western countries like Algeria, Morocco, and Tunisia, a region that was known by the French during colonial times as "Afrique du Nord" and is known by all Arabs as the Maghreb ("West", The western part of Arab World). The most commonly accepted definition includes Algeria, Sudan, Morocco, Tunisia, Libya and Egypt, the 6 countries that shape the top North of the African continent. 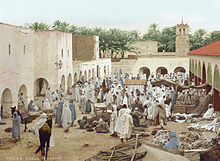 Meanwhile, "North Africa", particularly when used in the term North Africa and the Middle East, often refers only to the countries of the Maghreb and Libya. Egypt, being also part of the Middle East, is often considered separately, due to being both North African and Middle Eastern at the same time.